UK pub chain Samuel Smiths has banned people from using phones, in an attempt to foster “social conversations”. Various pubs across the UK have been sent a memo making clear that people should not be allowed to use their phones or chat in the bar, and that if they wish to they should be directed outside in the same way as if they were smoking. It follows a similar rule that saw swearing banned in the pubs. 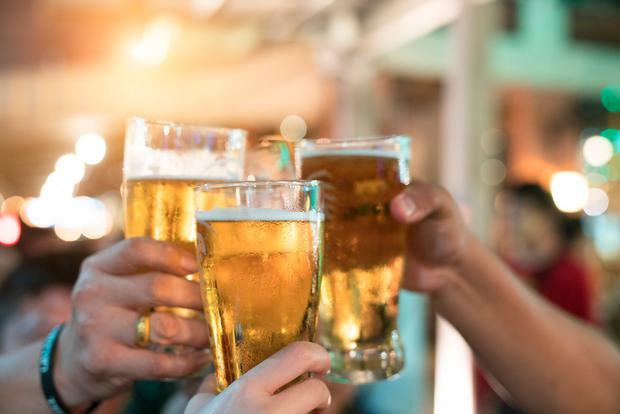 The rules are said to be enforced by the company’s 73-year-old owner, who is rumoured to enter the pubs undercover to check that they are being kept to. The phone rule enforces a wide-ranging ban on phones and tablets, as well as including particular bans on “pictures of sport” and “music apps”. “The brewery’s policy is not to allow customers to use mobile phones, laptops or similar inside our pubs,” reads the memo, which was first reported by the Manchester Evening News. It concludes with a message that the “brewery’s policy is that our pubs are for social conversation person to person”. Phone calls to various pubs confirmed that the memo had been received, and that the ban was currently going into effect. One manager said the rule was being loosely enforced for now, but that it might become stricter as time goes on. Staff working at other pubs said they were yet to hear about the rule. Calls to Samuel Smith’s central office were unanswered.